Vision insurance deals with vision plans that aim to reduce the cost of eye exams, spectacles, contact lenses, etc. They are helpful as they motivate people to go for routine eye check-ups which are quite expensive otherwise. EyeMed is one of the leading eye insurance companies in the US. The company serves more than a whopping 36 million members throughout the country, providing them with options to choose from around 87,500 vision care providers. Hi! 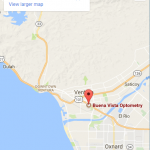 Dr. Ranjeet Bajwa here from one of the optometry in Ventura California. I wanted to talk to you today about your annual wellness exam with EyeMed vision coverage. EyeMed is one of the many vision plans that are out there that provide a coverage for an annual wellness examination as well as potentially coverage towards materials such as glasses or contact lenses. When we talk about EyeMed what it allows you to do is get your eyes checked on an annual basis for a wellness exam to make sure there is no signs of any health issues that might affect the front or the back of the eyes that affect your long-term vision or your day to day function. Consider the health screening examination, it is important to do that particularly as we get older unfortunately, certain health issues do become a bit more frequent with time for all of us. Things like cataracts, macular degeneration, if you suffer from diabetes or hypertension that can manifest these changes the back of your eye. In this day and age, with all of the electronic devices that we use. Dry eye and ocular surface disorders can certainly affect the function of your eyes as well as your ability to do the tasks and activities you enjoy without any difficulty. On top of that we talk about EyeMed’s vision plan coverage, they can contribute towards materials such as contact lenses, glasses, sunglasses or anything else that you may need in terms of covering your vision and function going forward. Eye Exams – Are they necessary? Statistics say that around 75 percent of Americans need some sort of vision correction. By going for an eye exam, you will be aware if you need any correction at all. Moreover, there are certain conditions of the eyes which show symptoms only after they cross the early stage. A routine eye exam in Ventura can detect such problems at the right time and give scope for treating the condition before any damage to the vision occurs. One such example is glaucoma.In addition to conditions of the eye, eye exams can also reveal other lurking health problems like diabetes, high blood pressure, and high levels of cholesterol.Therefore, whether you currently have an issue or not, you should go for regular eye exams. Ideally, you and your family should go for an annual eye exam. If you are prone to a certain condition, your eye doctor may advise for more than that. For children in Ventura, it is recommended that the first eye exam should be between 6 months to a year. The second one can be somewhere between 3 and 5 years’ age. After that, the child can have annual eye exams. Eye Med plans also offer on LASIK and PRK refractive error correction procedures.With EyeMed plans, you can purchase premium branded lenses and eyewear at discounted prices. Some brands included are RayBan, Coach, and Versace. Depending on the plan you choose, Eye Med plans can cost from $5 a month for individuals with their EyeMed Healthy Plan to $30 a month for families with their EyeMed Bright Plan. You can select a provider affiliated with EyeMed. Book an appointment and show your EyeMed ID card or give your details. EyeMed aims to make things easy for you and thus, your paperwork will be automatically done for you.At Beuna Vista Optometry, we accept all kinds of EyeMed vision plans. By being a member of an EyeMed insurance plan, you get to use its advanced mobile App, using which, you can save your ID card to keep it handy, set reminders for eye exams and change of contact lenses, save the information related to your prescription, and even find providers near you. With the app, you can also get access to frequently asked questions and can contact the EyeMed staff for additional queries.EyeMed members also receive tips about eye health and promotions.